RAINDIA has announced the release of a single and mini album that will be available this coming May. The single, "Ame ni, Speaker" will include new songs while the petite album vol. 2, "Ningen Shikkaku", will include both new and re-recorded songs. Details on both releases has not yet been revealed. 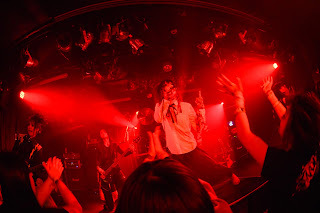 RAINDIA has also released a live digest video featuring short clips of their February 25th oneman live, which can be viewed below. You can visit Peatix to purchase their merchandise internationally until March 7th.